Amadis in Translation is a digital study of the transformation of a romance over centuries and across languages, and also a study in translation theory and practice, investigating how translators change texts as well as preserve them in their translations. It is typical to fault translators for adaptations of texts without recognizing the complex interaction between preservation and transformation involved in translation. With this project we seek to study translation and adaptation as complementary activities in the reproduction and transference of texts, activities that yield significant perspective on linguistic and cultural interchange. 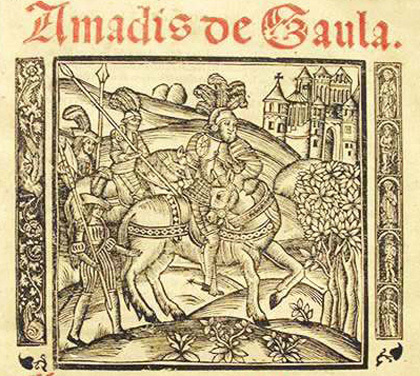 Our long-range project is to document changes in structure and content from Garci Rodríguez de Montalvo’s 1508 Amadís de Gaula to the 1547 Sevilla printing of Montalvo’s Amadís over three centuries and ultimately across three languages (Spanish, French, and English) from the 1500s to the early 1800s. The first phase of the project, launched in the summer of 2015, is to investigate Robert Southey’s 1803 translation of Montalvo’s Amadís . We chart multiple shifts in form and content of the romance through the efforts of the two textual scholars positioned centuries apart. Southey claimed in his translation to have abridged the early modern Spanish prose romance by half to restore a theoretical “medieval” or “primitive” state. Southey also claimed to remove elements from his source text that he conjectured were superadded by Montalvo to produce in English a simpler, imagined Ur-text. In his introduction to the translation, Southey alleges that he has condensed the romance through linguistic compression, without introducing a “modern style” or eliminating episodes. We have applied the XML language of the Text Encoding Initiative (TEI) to test Southey’s claims and to investigate the kinds and extent of reductions he applied to the Montalvo text, as he interpreted its clause-like semantic units into modern English sentences. A photo facsimile of the 1547 printing of Montalvo, available from Biblioteca Virtual de Andalucía, helps to demonstrate the challenge of its distinctive typography to an English translator. We use the TEI to align Southey’s text with Montalvo’s and study the omissions, reductions, and semantic shifts applied in Southey’s translation process. Our TEI markup helps us to analyze how much the text was altered in translation. This project is the work of Stacey Triplette, Elisa Beshero-Bondar, and Helena Bermúdez Sabel. Triplette and Beshero-Bondar are both from the University of Pittsburgh at Greensburg, and Bermúdez Sabel is from the University of Santiago de Compostela. Follow our project development on Github at http://ebeshero.github.io/Amadis-in-Translation/. Maintained by: Elisa E. Beshero-Bondar (ebb8 at pitt.edu) Last modified: Sunday, 06-Aug-2017 21:54:53 UTC. Powered by firebellies.